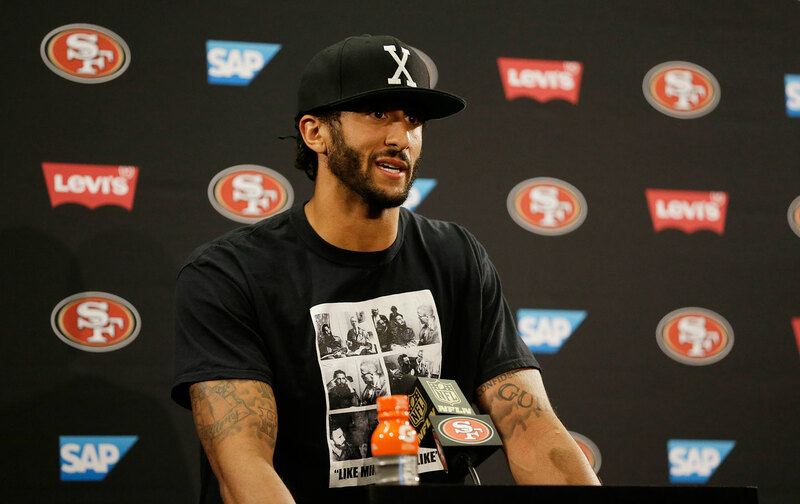 "Instead of reckoning with the substance of his critique, much of the media coverage has fostered an abstract discussion about patriotism and etiquette—centering the question of whether he has the “right” to protest rather than examining what it is he’s trying to say. I know about the difficult questions, and entanglements, that crop up in public service. I believe that Hillary Clinton has asked and successfully answered those questions as they pertain to the Clinton Foundation. There is little if any evidence that federal ethics laws were broken by Mrs. Clinton or anyone working for her at the State Department in their dealings with the foundation. Unfortunately, the foundation is still fuel for Mrs. Clinton’s persistent critics. These critics have yet to point to any provision of the federal statutes or ethics regulations that was violated by Secretary Clinton or her staff in their dealings with the foundation and its principals, agents and donors. Was there favoritism? Probably, yes. But laws were not broken. If favoritism by political appointees toward outside persons and organizations were illegal, the United States government would be quite different than it is today. White House political appointees and members of Congress show favoritism regularly, from how quickly they return campaign contributors’ telephone calls to which meeting requests they honor to who gets what they want in the policy arena." "Apple and the United States are crying foul over the ruling in Europe that Apple received illegal tax breaks from Ireland and must hand over 13 billion euros ($14.5 billion), a record tax penalty in Europe. 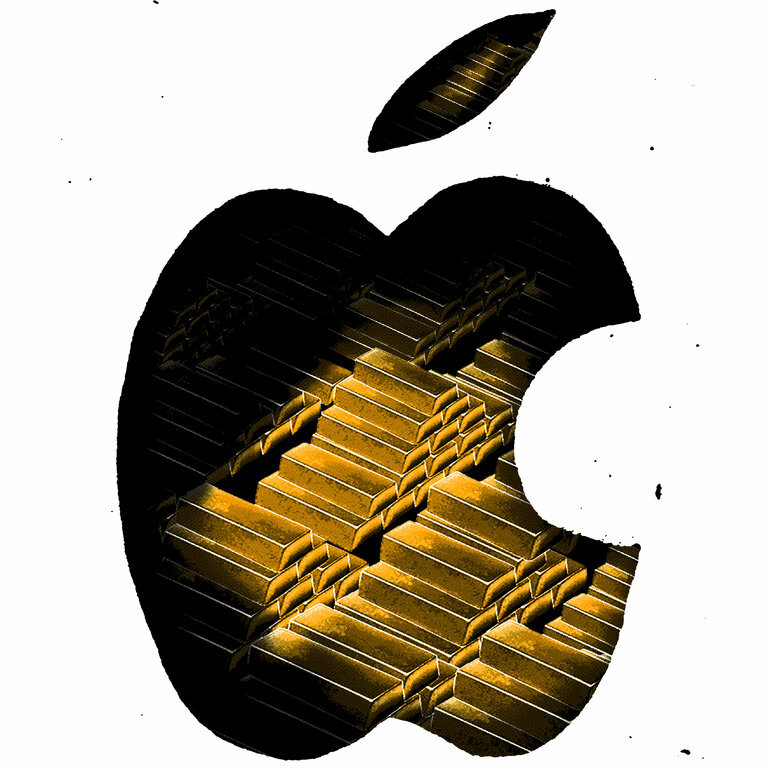 "Apple has engaged in increasingly aggressive tax avoidance for at least a decade, including stashing some $100 billion in Ireland without paying taxes on much of it anywhere in the world, according to a Senate investigation in 2013. In a display of arrogance, the company seemed to believe that its arrangements in a known tax haven like Ireland would never be deemed illegal — even as European regulators cracked down in similar cases against such multinational corporations as Starbucks, Amazon, Fiat and the German chemical giant BASF. Despite not being perfect, as Mr. Blow says, the Democratic Party — Hillary Clinton in particular — has overwhelming support from black voters. A recent poll shows Mrs. Clinton with 91 percent of the black vote, compared to 1 percent for Mr. Trump. I ask Ms. Alcindor whether Mrs. Clinton has earned that. She thought back to what she heard while covering Bernie Sanders. “Bernie Sanders would say this thing: ‘People don’t know me, which is why they’re not flocking to me. African-Americans don’t know me,’ ” she recalls. “I think that the voters that Bernie Sanders thought were ignoring him because they didn’t know him — I think they knew who Bernie Sanders was. “We are writing to request that the FBI assess whether connections between Trump campaign officials and Russian interests may have contributed to these attacks in order to interfere with the U.S. presidential election,” the lawmakers wrote in a letter sent to FBI Director James Comey on Tuesday. The letter was signed by Rep. Elijah Cummings, D-Maryland, ranking member on the House Oversight and Government Reform Committee; Rep. John Conyers, D-Michigan, ranking member on the House Judiciary Committee; Rep. Eliot Engel, D-New York, ranking member on the House Foreign Affairs Committee; and Rep. Bennie Thompson, D-Mississippi, ranking member on the Homeland Security Committee. They referenced several reports about Trump campaign officials’ or his advisers’ ties to Russia. They mentioned long-time Trump adviser Roger Stone’s admission in early August that he had previously communicated with WikiLeaks founder Julian Assange. They also said Trump foreign policy adviser Carter Page traveled to Moscow and delivered a speech critical of the U.S. and how Lt. Gen. Michael Flynn, who’s endorsed Trump, traveled to Moscow last December and ate at Russian President Vladimir Putin’s table. 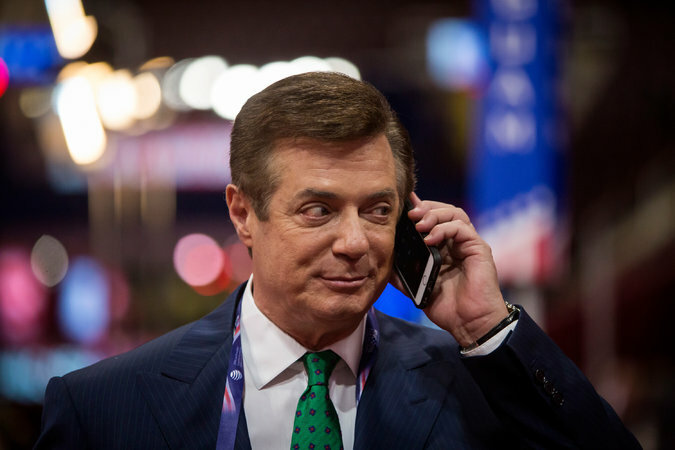 They also expressed concern about Paul Manafort, who served as Trump’s campaign chairman until he resigned recently after a series of damning reports about his involvement in Ukraine." 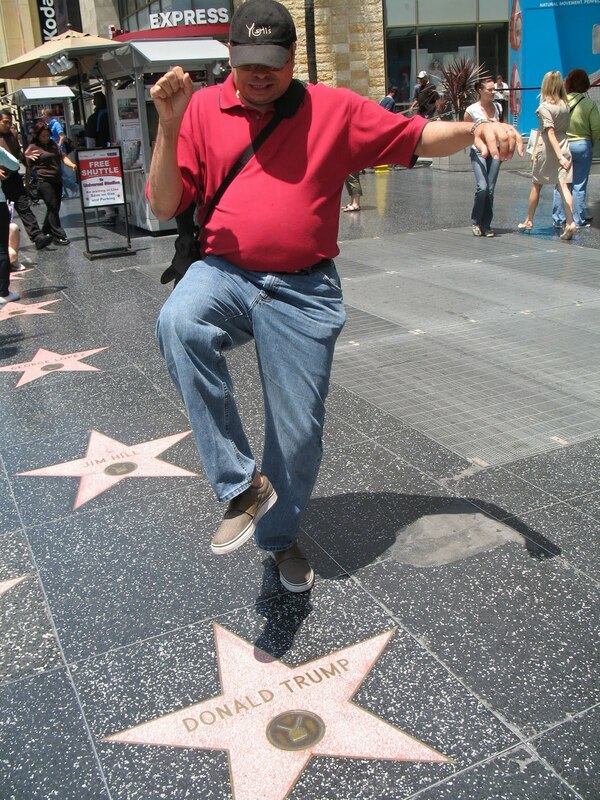 "Republican nominee Donald Trump has placed immigration at the core of his presidential campaign. He has claimed that undocumented immigrants are "taking our jobs" and "taking our money," pledged to deport them en masse, and vowed to build a wall on the Mexican border. At one point he demanded a ban on Muslims entering the country. Speaking to supporters in Iowa on Saturday, Trump said he would crack down on visitors to the United States who overstay their visas and declared that when any American citizen "loses their job to an illegal immigrant, the rights of that American citizen have been violated." And he is scheduled to give a major address on immigration in Arizona on Wednesday night. But the mogul's New York modeling agency, Trump Model Management, has profited from using foreign models who came to the United States on tourist visas that did not permit them to work here, according to three former Trump models, all noncitizens, who shared their stories with Mother Jones. Financial and immigration records included in a recent lawsuit filed by a fourth former Trump model show that she, too, worked for Trump's agency in the United States without a proper visa. Foreigners who visit the United States as tourists are generally not permitted to engage in any sort of employment unless they obtain a special visa, a process that typically entails an employer applying for approval on behalf of a prospective employee. Employers risk fines and possible criminal charges for using undocumented labor." "Humanity’s impact on the Earth is now so profound that a new geological epoch – the Anthropocene – needs to be declared, according to an official expert group who presented the recommendation to the International Geological Congress in Cape Town on Monday. The new epoch should begin about 1950, the experts said, and was likely to be defined by the radioactive elements dispersed across the planet by nuclear bomb tests, although an array of other signals, including plastic pollution, soot from power stations, concrete, and even the bones left by the global proliferation of the domestic chicken were now under consideration." But Nasa said that records of temperature that go back far further, taken via analysis of ice cores and sediments, suggest that the warming of recent decades is out of step with any period over the past millennium." "South Korea and Russia are set to reinforce government- and business-level cooperation on Moscow’s plans to develop the Russian Far East. Russia plans to support Korean firms investing into its projects to build cold storage facilities and modernize harbors in Vladivostok, according to the Ministry of Strategy and Finance. Outlook on the bilateral economic ties is bright, as Finance Minister Yoo Il-ho shared the goals and emphasized the importance of partnership with his counterpart Yuri Trutnev at a meeting in Seoul last week." Mr. Falwell was referring to a change to the tax code added by Johnson when he was the Senate minority leader. The amendment, as The Times reported in 2011, was not aimed at churches, but at “two nonprofit groups that were loudly calling him a closet Communist.” These were the Facts Forum, funded by the Texas oil billionaire H. L. Hunt to produce and distribute McCarthyist books, television programs and radio shows; and the Committee for Constitutional Government, another far-right, multimedia and mass-mailing center founded by the newspaper magnate Frank Gannett. The Johnson Amendment stated that “all section 501(c)(3) organizations are absolutely prohibited from directly or indirectly participating in, or intervening in, any political campaign on behalf of (or in opposition to) any candidate for elective public office.” In other words, tax-deductible charitable contributions could not be used to fund election campaigns. This was considered so uncontroversial at the time that no record of what Johnson was thinking or precisely how he got this clause attached to the tax code seems to have survived. It was passed by a Republican Congress, and signed into law by President Dwight D. Eisenhower. Churches on all sides, liberal and conservative, proved able to skirt the provisions of the amendment easily enough, and it went largely unchallenged until 2008, when the Alliance Defending Freedom, a legal and political organizing arm of right-wing Christian evangelicals, started a campaign to repeal it. The A.D.F. began an annual Pulpit Freedom Sunday, in which ministers were encouraged to give overtly political sermons, and then send recordings of these talks to the I.R.S." Hillary Clinton pushed back this week against claims that as Secretary of State she granted special access to big donors to the Clinton Foundation. Investigative reporter for the Washington Post, Spencer Hsu, joins MSNBC’s Joy Reid to discuss this and the recent Associated Press story regarding the situation." "She seemed like the model tenant. A 33-year-old nurse who was living at the Y.W.C.A. in Harlem, she had come to rent a one-bedroom at the still-unfinished Wilshire Apartments in the Jamaica Estates neighborhood of Queens. She filled out what the rental agent remembers as a “beautiful application.” She did not even want to look at the unit. There was just one hitch: Maxine Brown was black. Stanley Leibowitz, the rental agent, talked to his boss, Fred C. Trump. “I asked him what to do and he says, ‘Take the application and put it in a drawer and leave it there,’” Mr. Leibowitz, now 88, recalled in an interview. 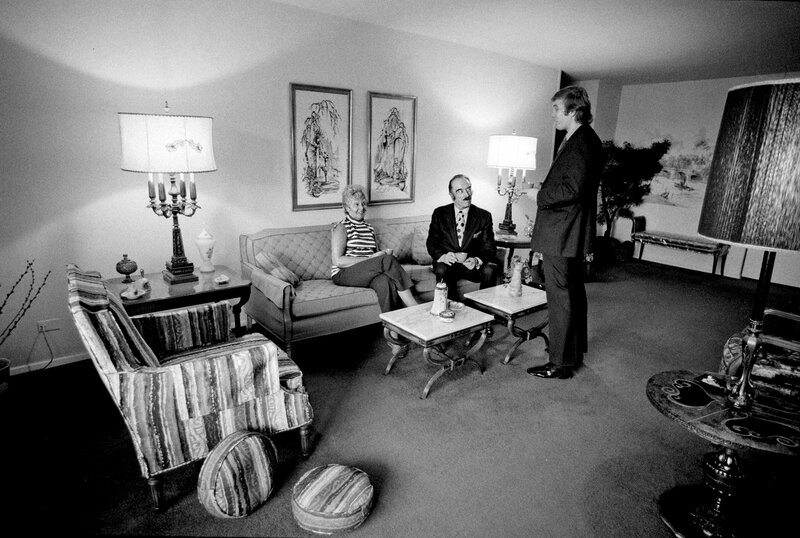 It was late 1963 — just months before President Lyndon B. Johnson signed the landmark Civil Rights Act — and the tall, mustachioed Fred Trump was approaching the apex of his building career. 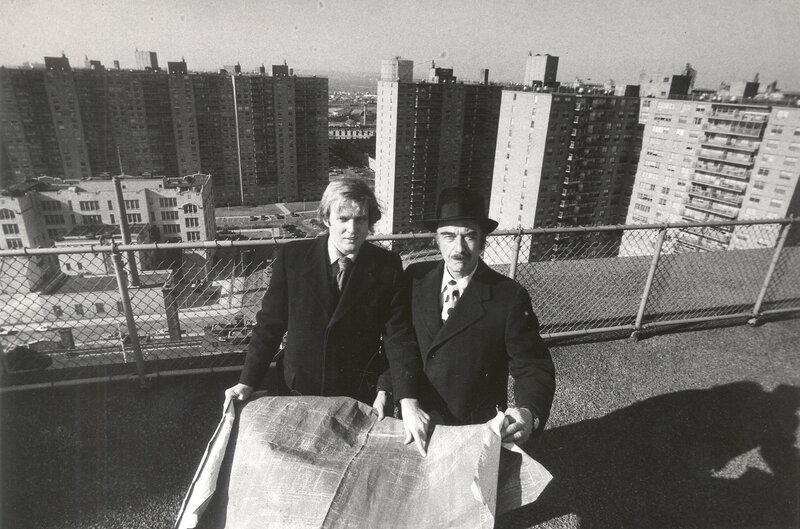 He was about to complete the jewel in the crown of his middle-class housing empire: seven 23-story towers, called Trump Village, spread across nearly 40 acres in Coney Island. He was also grooming his heir. His son Donald, 17, would soon enroll at Fordham University in the Bronx, living at his parents’ home in Queens and spending much of his free time touring construction sites in his father’s Cadillac, driven by a black chauffeur. The Justice Department undertook its own investigation and, in 1973, sued Trump Management for discriminating against blacks. Both Fred Trump, the company’s chairman, and Donald Trump, its president, were named as defendants. It was front-page news, and for Donald, amounted to his debut in the public eye. “Absolutely ridiculous,” he was quoted as saying of the government’s allegations. Looking back, Mr. Trump’s response to the lawsuit can be seen as presaging his handling of subsequent challenges, in business and in politics. Rather than quietly trying to settle — as another New York developer had done a couple of years earlier — he turned the lawsuit into a protracted battle, complete with angry denials, character assassination, charges that the government was trying to force him to rent to “welfare recipients” and a $100 million countersuit accusing the Justice Department of defamation. When it was over, Mr. Trump declared victory, emphasizing that the consent decree he ultimately signed did not include an admission of guilt. But an investigation by The New York Times — drawing on decades-old files from the New York City Commission on Human Rights, internal Justice Department records, court documents and interviews with tenants, civil rights activists and prosecutors — uncovered a long history of racial bias at his family’s properties, in New York and beyond. That history has taken on fresh relevance with Mr. Trump arguing that black voters should support him over Hillary Clinton, whom he has called a bigot." "One early red flag arose in 1973, when President Richard Nixon’s Justice Department — not exactly the radicals of the day — sued Trump and his father, Fred Trump, for systematically discriminating against blacks in housing rentals. I’ve waded through 1,021 pages of documents from that legal battle, and they are devastating. Donald Trump was then president of the family real estate firm, and the government amassed overwhelming evidence that the company had a policy of discriminating against blacks, including those serving in the military. To prove the discrimination, blacks were repeatedly dispatched as testers to Trump apartment buildings to inquire about vacancies, and white testers were sent soon after. Repeatedly, the black person was told that nothing was available, while the white tester was shown apartments for immediate rental. Donald Trump furiously fought the civil rights suit in the courts and the media, but the Trumps eventually settled on terms that were widely regarded as a victory for the government. Three years later, the government sued the Trumps again, for continuing to discriminate. Charles Blow: "Trump is bigot". Finally someone in the news media saying it like it is. I love this: Neil deGrasse Tyson: Atheist or Agnostic? In other words, after excluding the people any Secretary of State might ordinarily see on a typical day, and looking exclusively at this smaller subset of people Hillary Clinton met with, more than half of them contributed to Bill Clinton’s charity." "Donald J. Trump, after weeks of self-inflicted damage, has seen support for his candidacy in national polls dip into the 30s — Barry Goldwater and Walter F. Mondale territory — while Hillary Clinton has extended her lead to double digits in several crucial swing states. There are a variety of factors that are likely to prevent a candidate today from rallying the huge, 60-plus-point majorities that swept Franklin D. Roosevelt back into office in 1936, Lyndon B. Johnson in 1964 and Richard M. Nixon in 1972. The country is too fragmented and its political temperature too overheated for any single person to emerge as a consensus choice for anything nearing two-thirds of the electorate. And that climate has led the political parties to become far more ideologically uniform than they used to be." 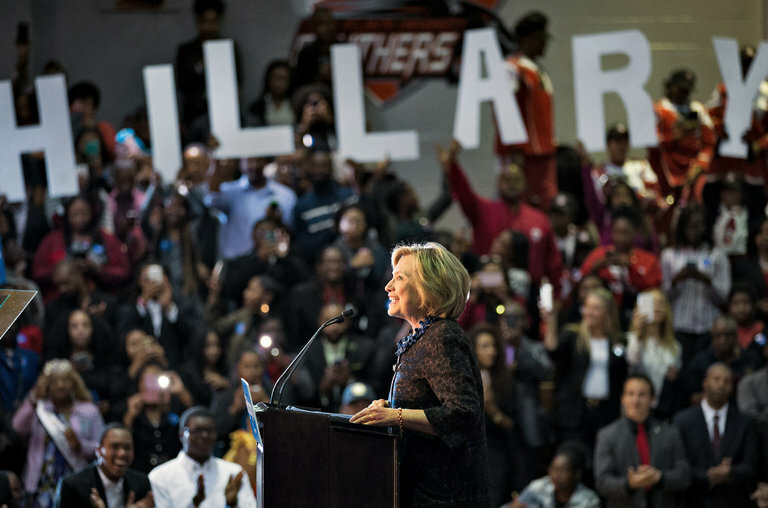 "Atlanta — Recent polls show something that has caught even the most optimistic liberals by surprise: Hillary Clinton is tied with Donald J. Trump in Georgia, catching up with him in South Carolina and generally showing strength in traditionally Republican parts of the South. It seems like the Democratic dream come true — demographic changes are turning Southern states purple. 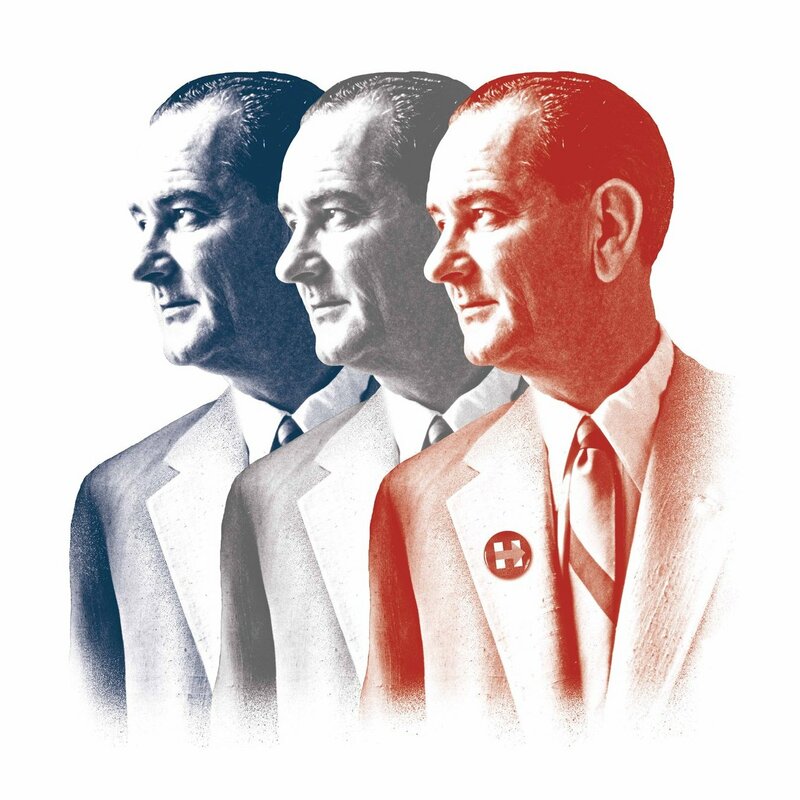 The Republican’s Southern Strategy is one of the most familiar stories in modern American history: Beginning in the 1960s, the party courted white racist voters who fled the Democratic Party because of its support for civil rights." "During major inflection points in Donald J. Trump’s campaign, the advisers, family members and friends who make up his kitchen cabinet burn up their email accounts and phone lines gaming out how to get his candidacy on track (and what counsel he might go along with). But one person in the mix brings more than just his political advice. He also happens to control an hour of prime time on the Fox News Channel. That person is Sean Hannity. 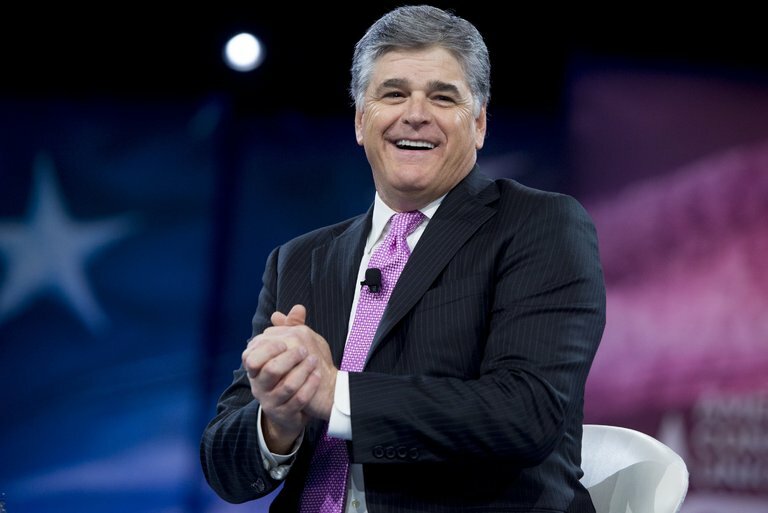 Mr. Hannity uses his show on the nation’s most-watched cable news network to blare Mr. Trump’s message relentlessly — giving Mr. Trump the kind of promotional television exposure even a billionaire can’t afford for long." "This fragile narcissist, who is a sort of bottomless pit of emotional need and affirmation, is easily injured by even the slightest confrontation. He is a man who has said of himself, “I have no friends, as far as I’m concerned,” as he joked that it would be easy to get big money out of politics. But that claim is worrisome, a thing that only a bully would say. Yes, he can work a crowd, work a screen and work a Twitter account. He can channel anger, hatred and bigotry and give it a voice and face and standing. He can make bombast feel like bravado. He can lower discourse and raise the rabble. He has the gifts of a grifter. The problem is that, at the moment, those gifts are proving to be woefully insufficient as he continues to face horrible polling results and other Republican officials begin to reek of fear, panic and impending peril. This email controversy, coming from the same campaign trying to make hay of Hillary Clinton’s email controversy. Oh, the irony. Trump thinks of himself as a great man — that is the premise of his entire sales pitch, that America has faltered and can only be made great again by the Midas touch of his tiny hands — but if current trends continue and he suffers a staggering loss on Election Day, his ego will be forever injured as he is assigned to history not as a great man but as a great disaster, a cautionary tale of what comes of a party that picks a con man as its frontman. Trump’s recitation of regret wasn’t so much a ruthless Saul to Apostle Paul transformation as an inverted Jekyll and Hyde monstrous illusion. There is something rotten at the core of this man that no length of script or turn "
"In fact, a New York Times analysis of 2014 census figures shows that income alone cannot explain, nor would it likely end, the segregation that has defined American cities and suburbs for generations. The choices that black families make today are inevitably constrained by a legacy of racism that prevented their ancestors from buying quality housing and then passing down wealth that might have allowed today’s generation to move into more stable communities. And even when black households try to cross color boundaries, they are not always met with open arms: Studies have shown that white people prefer to live in communities where there are fewer black people, regardless of their income. The result: Nationally, black and white families of similar incomes still live in separate worlds. In many of America’s largest metropolitan areas, including New York, Chicago and Los Angeles, black families making $100,000 or more are more likely to live in poorer neighborhoods than even white households making less than $25,000. 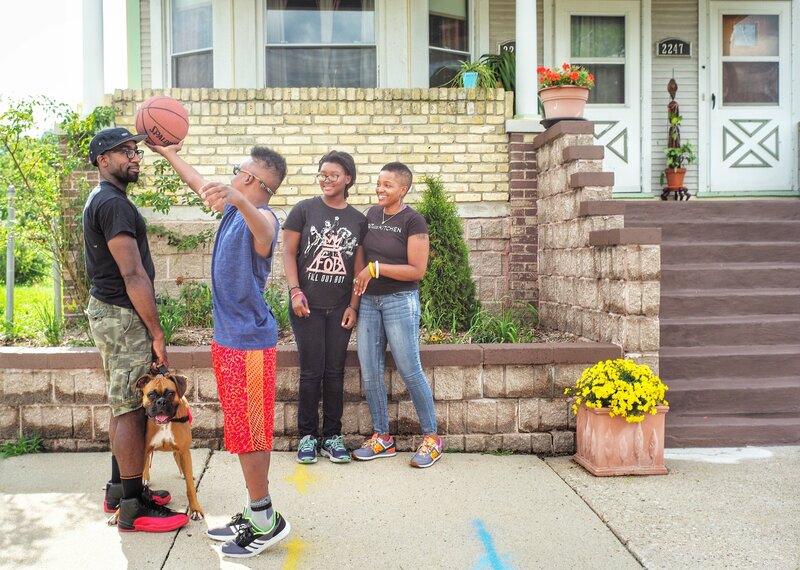 This is particularly true in areas with a long history of residential segregation, like metropolitan Milwaukee." "On Saturday night, the British distance runner Mo Farah will try and become the first athlete to sweep the 5,000- and 10,000-meter races at consecutive Olympics since Finland’s Lasse Viren won both in 1972 and 1976. Farah has already found a heart-stopping way to pay homage to the Finn, albeit accidentally. Viren famously fell mid-race during the 10,000-meter in 1972 but managed to get up and still win. Forty-four years later, in the middle of last Saturday’s 10,000 in Rio, Farah got tangled up with the American runner Galen Rupp, his friend and sometime training partner, and went crashing onto the track. It briefly looked as though Farah’s race was over. But he sprang up, rejoined the pack, and won in the same way he’s dominated the biggest international races for a half-decade: by separating himself from runners still in the mix and entering the final lap with a blistering closing kick. Farah is tangled up with forces off the track too. He’s an immigrant who came to England from Somalia in order to escape conflict there at the age of eight. Time and again in recent years, the 33-year-old Farah, a devout Muslim, has prayed on the track and draped himself in the British flag after crossing the line for wins on the biggest stage, including at London’s 2012 games and then biennial World Championships in Russia and China in 2013 and 2015." "Voltaire thought none required more faith than the story of Noah’s Ark: “The history of the deluge being that of the most miraculous event of which the world ever heard, it must be the height of folly and madness to attempt an explanation of it.” If only he had visited Ark Encounter—a Christian theme park that opened this summer in Kentucky and boasts a “life-sized” reconstruction of Noah’s Ark. Seemingly impossible details have been fanatically researched and naturalistically explained by Answers in Genesis (AiG), a literalist Christian organization that’s also responsible for the nearby Creation Museum. With roughly 40 percent of Americans believing in creationism, the park shouldn’t be dismissed as mere Christian kitsch. Rather, it represents a recent and powerful trend in evangelical thought, a kind of fundamentalist realism. To visit the park is to see how conservative Christianity of the 21st century finds strength not simply in miracles, scripture and sermon, but in timber, mannequins, blueprints, and feasibility studies." This man is dangerous. He is ruthless, dishonest and amoral. He will become Trump's brain.“Egomaniacal.” “Purely Machiavellian.” A man summed up by three words: “fear and bullying”. Former employees do not lack for words to describe Donald Trump’s new campaign chief, a Wall Street veteran who found his flock on the far right, with a site associated with conspiracy theories, provocation and notions unspoken on cable TV. For staffers of Breitbart News, Steve Bannon’s words were law. "More than two and a half years have gone by since the Affordable Care Act, a.k.a. Obamacare, went fully into effect. Most of the news about health reform since then has been good, defying the dire predictions of right-wing doomsayers. But this week has brought some genuine bad news: The giant insurer Aetna announced that it would be pulling out of many of the “exchanges,” the special insurance markets the law established. This doesn’t mean that the reform is about to collapse. But some real problems are cropping up. They’re problems that would be relatively easy to fix in a normal political system, one in which parties can compromise to make government work. But they won’t get resolved if we elect a clueless president (although he’d turn to terrific people, the best people, for advice, believe me. Not.). And they’ll be difficult to resolve even with a knowledgeable, competent president if she faces scorched-earth opposition from a hostile Congress. 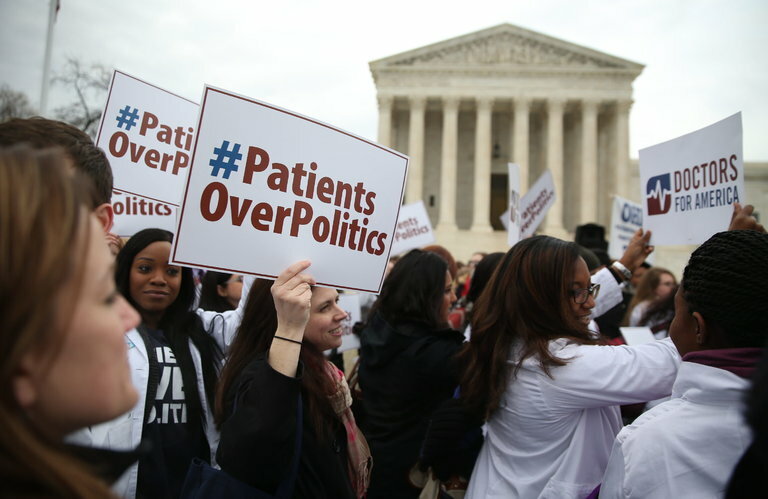 The story so far: Since Obamacare took full effect in January 2014, two things have happened. First, the percentage of Americans who are uninsured has dropped sharply. Second, the growth of health costs has slowed sharply, so that the law is costing both consumers and taxpayers less than expected. In Aetna’s case there’s reason to believe that there was also another factor: vindictiveness on the part of the insurer after antitrust authorities turned down a proposed merger. That’s an important story, but not central to the broader issue of health reform. Much of the new system is doing pretty well — not just the Medicaid expansion, but also private insurer-based exchanges in big states that are trying to make the law work, California in particular. The bad news mainly hits states that have small populations and/or have governments hostile to reform, where the exit of insurers may leave markets without adequate competition. That’s not the whole country, but it would be a significant setbac"
"Donald Trump’s speech on Monday was advertised as an attempt to redirect his campaign from a series of blunders to a more serious discussion of foreign policy, starting with combating global terrorism. As such, it marked another test of his readiness to lead. It did not go well. Far from coherent analysis of the threat of Islamic extremism and a plausible blueprint for action, the speech was a collection of confused and random thoughts that showed little understanding of the rise of the Islamic State and often conflicted with the historical record. Meanwhile, with terrorism as his central focus, Mr. Trump doubled down on the anti-refugee themes that have dominated his campaign, dressing them up as a national security issue. He proposed a new “extreme vetting” approach to immigration that would impose an ideological test on newcomers and undermine the very American values of tolerance and equal treatment that he said he wanted to encourage. He also called for the creation of a commission that would “expose the networks in our society that support radicalization,” which struck many listeners as an uncomfortable echo of McCarthyism." "KIEV, Ukraine — On a leafy side street off Independence Square in Kiev is an office used for years by Donald J. Trump’s campaign chairman, Paul Manafort, when he consulted for Ukraine’s ruling political party. His furniture and personal items were still there as recently as May. "While few have questioned the electoral strategy of bringing Republicans into the fold by casting Mr. Trump as a singular threat to democracy, both skeptics and some admirers of Mrs. Clinton have come to view her decisive advantage in the polls with mixed emotions. She may win by a mandate-level margin, they say. But what, exactly, would the mandate be for? 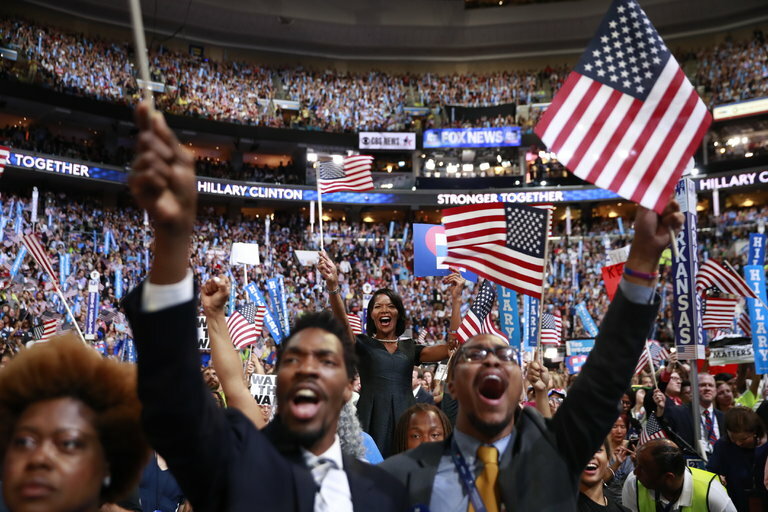 In a matter of weeks, beginning with the party conventions, the policy-driven debates that animated the Democratic primary race have largely disappeared from the political foreground, giving way to discussions of Mr. Trump’s temperament, his inflammatory remarks and even his sanity." "The mutual embrace of Donald Trump and the National Rifle Association grew tighter last week with Mr. Trump’s incendiary suggestion that Second Amendment advocates could “maybe” find a way to deal with Hillary Clinton and her gun safety agenda if she reached the White House. Whether calculated or clumsy, Mr. Trump’s ugly pronouncement left a whiff of lethal intimidation in the air. 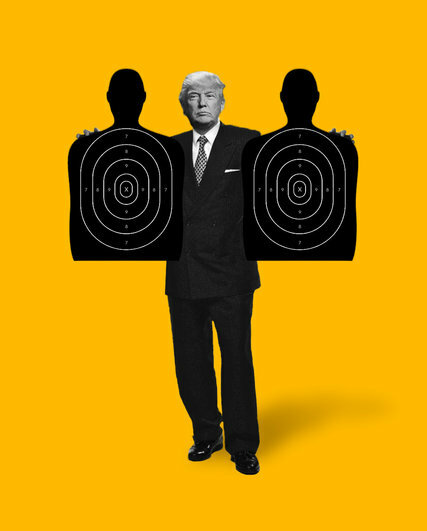 It marked a singular moment of desperation in his presidential campaign — but also created grounds for the nation to demand a rational, substantive campaign debate on gun safety that gets beyond Mr. Trump’s inflammatory sound bites." 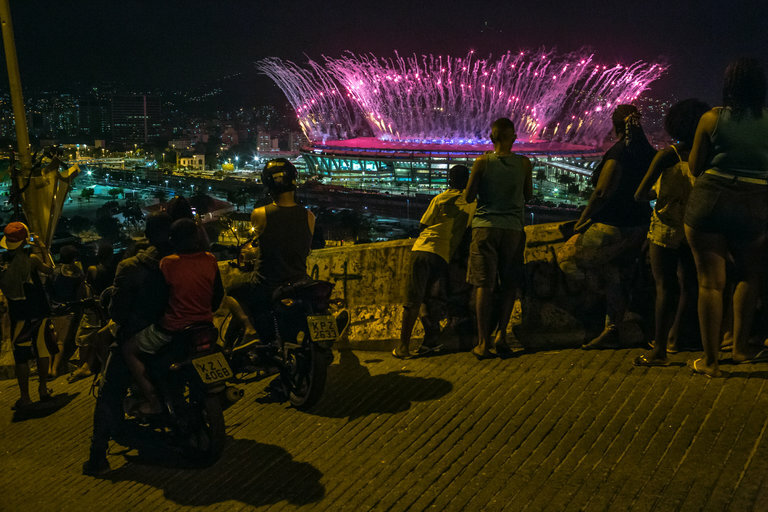 "The opening ceremony included an acknowledgment of slavery (as captured in the photo above). How would you interpret what was going on there? A. I thought it was really significant that the slave trade was not just mentioned but portrayed in movement and dance in the way that it was. It’s not quite a taboo subject, but it’s something that is still not widely discussed or widely studied in Brazil, which received far more slaves than any other place in the Americas — more than 10 times the amount of slaves that went into North America. Rio was the epicenter of this trade, and even within Brazil there is a misconception about how it functioned; many people here still think Salvador in the northeast received far more slaves when that just wasn’t the case. Rio was the economic heart of Brazil at that time and then it was the seat of the empire. It was this linchpin of just a really brutal period in the country’s history. So I think it’s contributing to greater awareness and more discussion about the origins of the country. Somewhat symbolically, the first gold medal winner for Brazil, Rafaela Silva, was also this incredibly gifted competitor in judo and she grew up very poor — she’s Afro-Brazilian, and she grew up very poor in Cidade de Deus, the City of God, the huge favela where Fernando Meirelles, the director of the opening ceremony, made his film of the same name. And her victory really resonated with a lot of people in Brazil, including in the favela where she was raised." 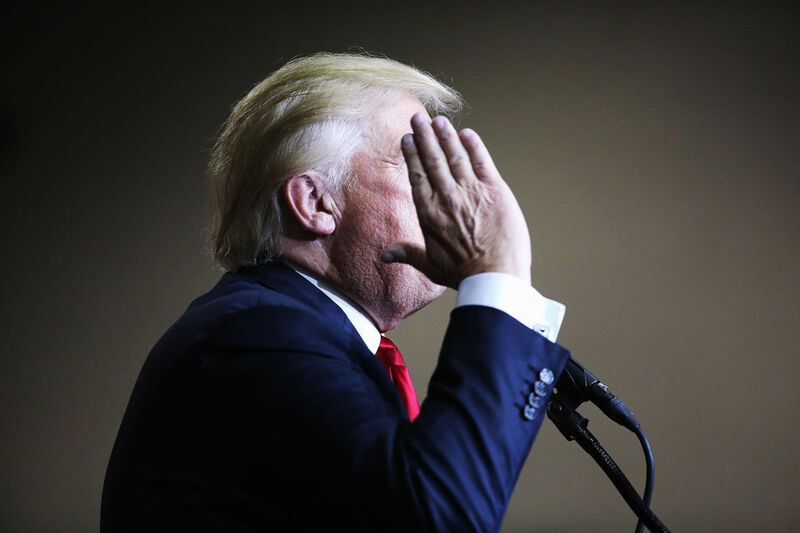 Donald Trump lied over 30 times in a 2007 deposition. What does that teach us about how he’s behaving now that he’s entered politics? Esquire’s Charlie Pierce and Trump book author David Cay Johnston join MSNBC’s Lawrence O’Donnell. "Once a presidential candidate with deep misgivings about executive power, Mr. Obama will leave the White House as one of the most prolific authors of major regulations in presidential history. Blocked for most of his presidency by Congress, Mr. Obama has sought to act however he could. In the process he created the kind of government neither he nor the Republicans wanted — one that depended on bureaucratic bulldozing rather than legislative transparency. But once Mr. Obama got the taste for it, he pursued his executive power without apology, and in ways that will shape the presidency for decades to come. The Obama administration in its first seven years finalized 560 major regulations — those classified by the Congressional Budget Office as having particularly significant economic or social impacts. That was nearly 50 percent more than the George W. Bush administration during the comparable period, according to data kept by the regulatory studies center at George Washington University. An army of lawyers working under Mr. Obama’s authority has sought to restructure the nation’s health care and financial industries, limit pollution, bolster workplace protections and extend equal rights to minorities. 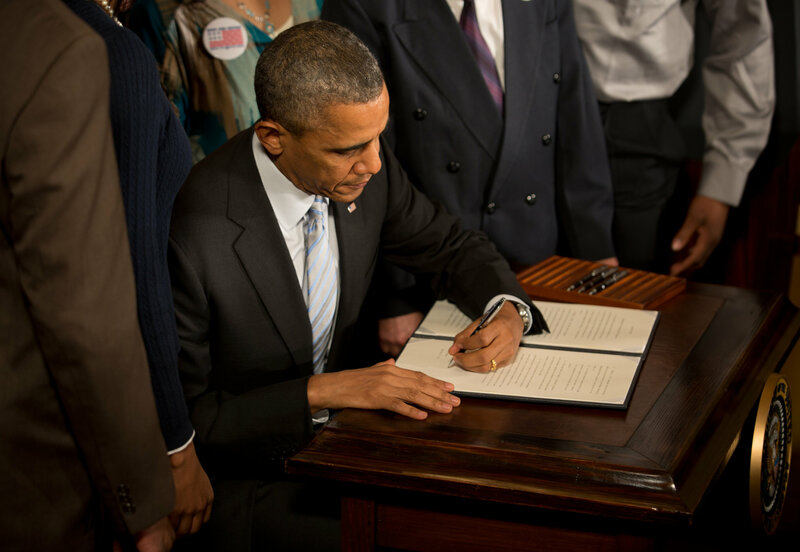 Under Mr. Obama, the government has literally placed a higher value on human life." 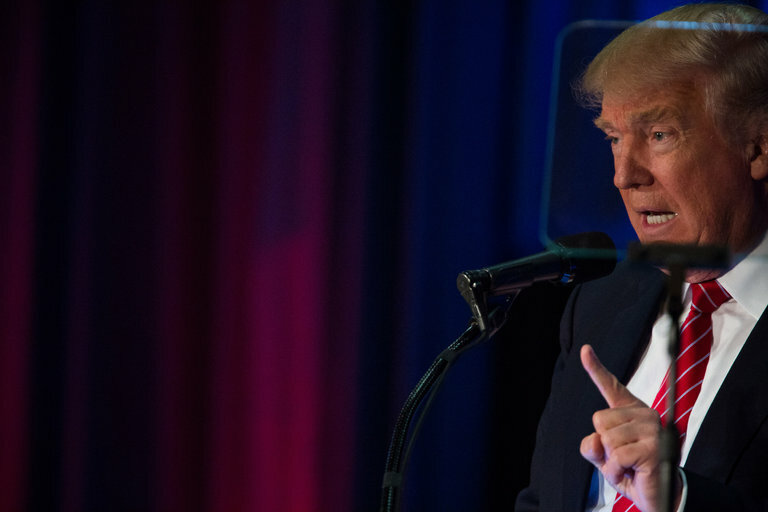 Trump's Latest Ten Donald Trump's ten most recent outrageous statements. "More than 75 Republicans have signed a letter urging Republican National Committee Chair Reince Priebus to spend the party's money on helping secure the Republican majority in the Senate, not on Donald Trump's presidential campaign. The letter, whose signers include former congressmen Mickey Edwards and Christopher Shays; former senator Gordon Humphrey; Bruce Bartlett, a policy aide to Ronald Reagan and George H.W. Bush; and former RNC staff members, said Trump's campaign will have a "catastrophic impact" on down-ballot races." It was a simple tautology—of course she’s the first Simone Biles—that was also a powerful response to the gendered double standards that have so far plagued the 2016 Games. She’s not a lady version of a guy; she is … herself. It was an obvious point that, given some of the media coverage of Rio, was also a powerful piece of media criticism." An interesting analysis of those who are around the powerful. "The many different anti-Clinton camps, on the left and on the right, share an assumption that all of the Clintons’ decisions are oriented around off-the-books agendas, and that these agendas emerge in moments of stress. This has amped up the fervor of the various probes into Clinton’s e-mail and the Benghazi episode—by means of foia, subpoena, and Russian hack—and it has also created a wild hype. In June, Julian Assange told ITV that WikiLeaks had the goods on Clinton, and that its material “could proceed to an indictment.” Republicans have spent years promoting the idea that at the heart of the Benghazi episode lies a profound criminality, self-interest, and corruption. The insistence that the probes will reveal illegal activity has crowded out the more realistic possibility that the relationships around Clinton are simply unsavory—and this, in turn, has reduced the chances that this episode will end with efforts at reform. “Lock her up!” Donald Trump’s crowds cry, but each time they do it seems more ridiculous. We have seen so many of her e-mails. Lock her up for what?" The Daily Show - Did Donald Trump Call for Hillary Clinton's Assassination? 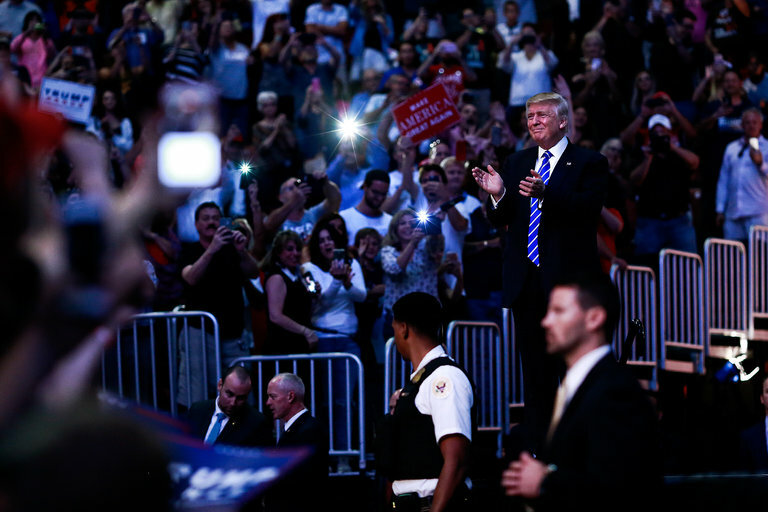 DOYLESTOWN, Pa. — Donald J. Trump has been waiting for months for a poll in which he cracks 50 percent of the vote against Hillary Clinton in any of his top battleground states: Florida, New Hampshire, Ohio or Pennsylvania. But in the last two weeks, instead of attracting a surge of new admirers, Mr. Trump has been hemorrhaging support among loyal Republicans, anti-establishment independents, Clinton-loathing Democrats and others, according to polls and 30 interviews with a cross-section of voters. His dispute with the Muslim parents of the Army captain who was killed in action in Iraq, and his suggestion that “Second Amendment people” could somehow stop Mrs. Clinton, have intensified doubts about Mr. Trump even among Americans who were initially attracted to his frank and freewheeling style. Several Republican voters said they grow leery every time Mr. Trump speaks these days, for fear he will embarrass them, and feel increasingly repelled just when they hoped he might adjust his message to try to draw more people in. another 150 years—but the Persians are great negotiators, the Iranians are great negotiators, so, and they, they just killed, they just killed us. "Here’s the bottom line: There are only three things you can do when it comes time to elect a president. You can stay home and punt; you can choose between the two major party candidates; or you can cop out by doing something that looks like voting but has no effect whatsoever on the outcome of the race. 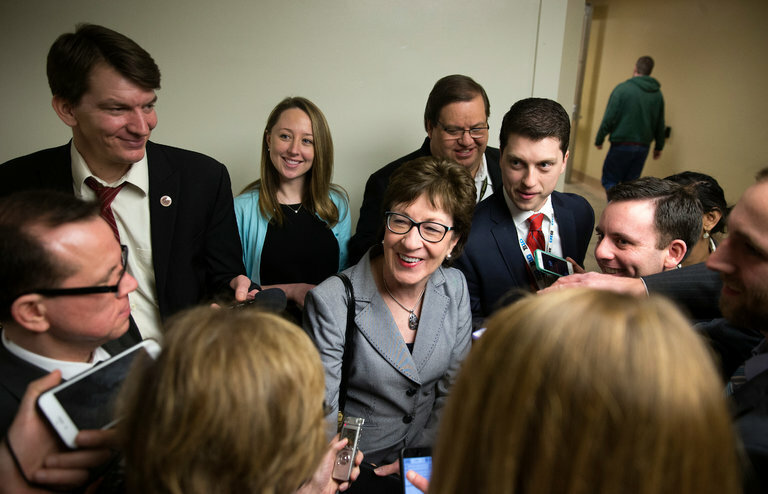 Susan Collins said she could support the Libertarian ticket if only it had been reversed, with vice-presidential candidate William Weld on top. You can’t totally dislike Weld, who once told me that being governor of Massachusetts was pretty much a walk in the park. (“I used to go on vacation for a week at a time and I wouldn’t even call in.”) However, he’s been out of office for nearly 20 years. He is not the presidential candidate. And the Libertarians are never, repeat, never going to be elected. Right now we live in a world that’s been messed up by the bad decisions George W. Bush made about invading Iraq. He was elected president in 2000 thanks to a few hundred votes in Florida. A state where Green Party candidate Ralph Nader got 97,488 votes." Wolf Blitzer just nailed Trump to the wall! "Once in a while, not that often but every once in a while CNN comes through in the clutch. Wolf Blitzer just had GOP congresssludge Representative Duncan Hunter (R-CA) on to discuss Cheeto Jesus latest outrage, his ‘2nd amendment people’ call for Hillary Clinton’s assassination. I thought we had left this behind with that Tea Party toad Sharron Angle. Hunter gave it his best shot. He told Blitzer that Trump was speaking metaphorically, calling for action at the ballot box to stop her. He said that as a politician he has repeatedly used the phrases of ‘Stopping him’ or ‘stopping her’ and was always referring to beating his opponent at the ballot box, the media was blowing this completely out of proportion, there was no story here. This has become the standard surrogate mantra for the day in dealing with the crisis. Even the campaign has released a statement to this effect. ‘If she gets to pick her judges, nothing you can do, folks. Although the second amendment people, maybe there is, I don’t know. Then m’man Wolf went for the jugular, using simple common sense. He told Hunter that when Trump spoke of Clinton appointing judges, that was an obvious admission that she had already won the freakin’ election! 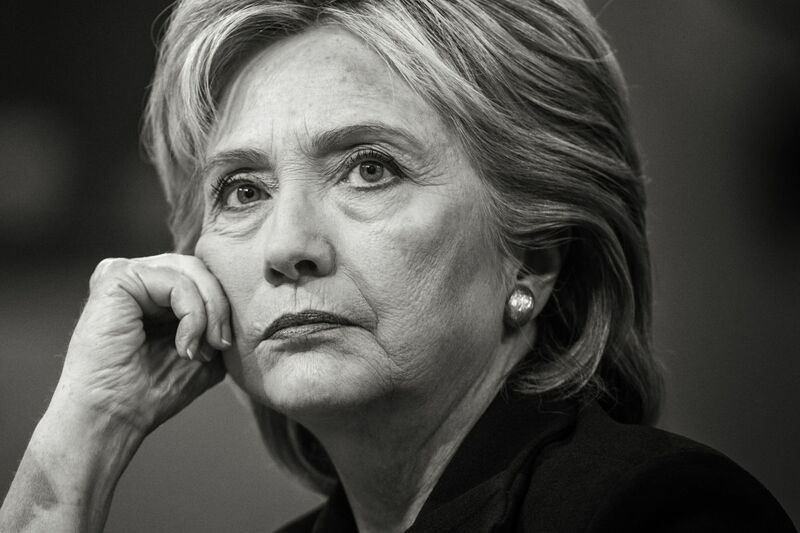 If she was selecting judges, she was the President, mobilizing 2nd amendment right voters to the polls would be useless, the election was over. What else could he possibly be talking about but assassinating either Clinton or Federal Justices? Well done Wolf! See what you can do every once in a while if you use your brain for something more than just reading the words off of the teleprompter or script?" "On this day in 1806, future President Andrew Jackson kills a man who accused him of cheating on a horse race bet and then insulted his wife, Rachel. Contemporaries described Jackson, who had already served in Tennessee’s Senate and was practicing law at the time of the duel, as argumentative, physically violent and fond of dueling to solve conflicts. Estimates of the number of duels in which Jackson participated ranged from five to 100." I will not be voting for Donald Trump for president. This is not a decision I make lightly, for I am a lifelong Republican. But Donald Trump does not reflect historical Republican values nor the inclusive approach to governing that is critical to healing the divisions in our country." 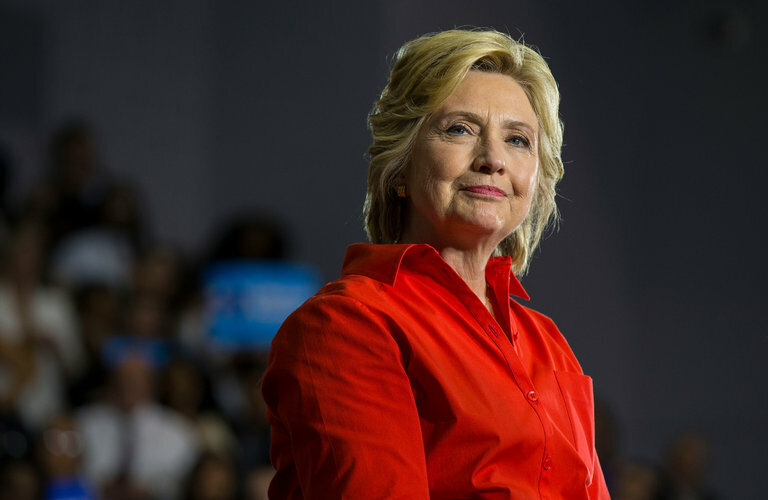 "Hillary Clinton has widened her lead significantly over Donald Trump since the period before the two parties held their conventions last month, according to a Monmouth University survey released Monday. The survey found that Clinton leads Trump 46 percent to 34 percent among registered voters, with 7 percent supporting Libertarian nominee Gary Johnson and 2 percent backing Green Party candidate Jill Stein. Among likely voters, Clinton leads Trump 50 percent to 37 percent, with 7 percent supporting Johnson and 2 percent backing Stein." Bus driver fired over Facebook post about student's lunch money. "It was a Thursday night in late May 1990. I was a 32-year-old Wall Street Journal reporter who had written dozens of articles about Donald J. Trump’s business affairs. I was closing in on the biggest one of all — Mr. Trump was on the brink of financial ruin. He was quietly trying to unload his assets. 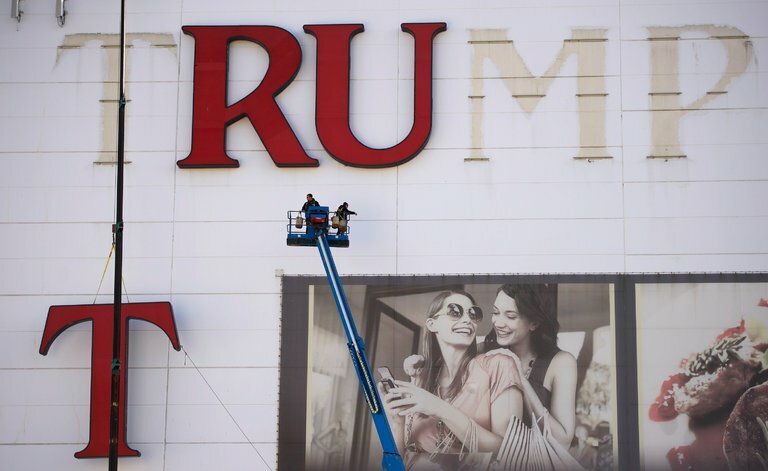 His Atlantic City casinos were underperforming, and prices for his casino bonds were plummeting, suggesting that he would have trouble making interest payments. Amid all the self-made myths about Donald Trump, none is more fantastic than Trump the moneymaker, the New York tycoon who has enjoyed a remarkably successful business career. In reality, Mr. Trump was a walking disaster as a businessman for much of his life. This is not just my opinion. Warren Buffett said as much this past week." "Like most parents with young kids, I think about their future: What will my daughter’s first word be? Will she like spicy South Asian food or will I have to shame myself by ordering “mild”? Will my American Muslim daughter be allowed to leave the Trump detention camps if she grows up to be a “10”? Would that make her eligible for a Trump Beauty Pageant?" Likewise, The Washington Post Fact-Checker has awarded its worst ranking, Four Pinocchios, to 16 percent of Clinton’s statements that it checked and to 64 percent of Trump’s." "During a 33-year career at the Central Intelligence Agency, I served presidents of both parties — three Republicans and three Democrats. I was at President George W. Bush’s side when we were attacked on Sept. 11; as deputy director of the agency, I was with President Obama when we killed Osama bin Laden in 2011. Two strongly held beliefs have brought me to this decision. First, Mrs. Clinton is highly qualified to be commander in chief. 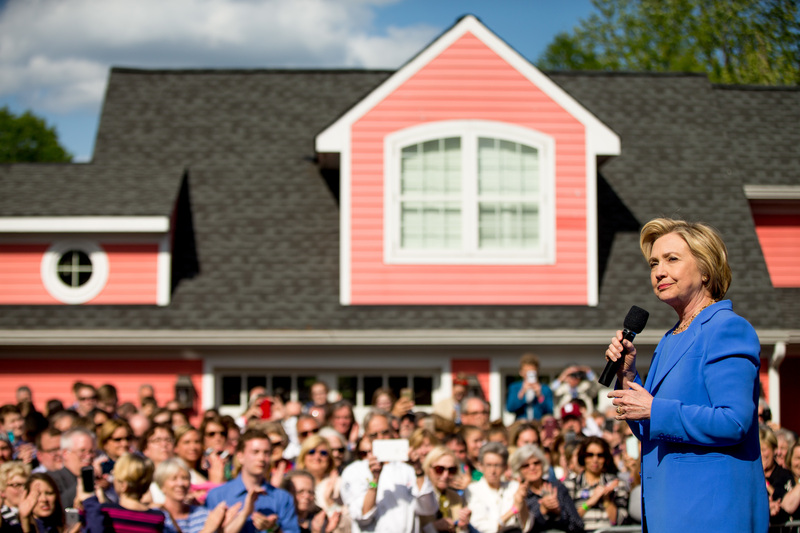 I trust she will deliver on the most important duty of a president — keeping our nation safe. Second, Donald J. Trump is not only unqualified for the job, but he may well pose a threat to our national security."